"Best-kept little secret in New England." Seashell Island, where I've lived all my life, is those things and more. And all I want to do is leave it behind. Gwen Castle has never so badly wanted to say good-bye to her island home till now: the summer her Biggest Mistake Ever, Cassidy Somers, takes a job there as the local yard boy. He's a rich kid from across the bridge, and she hails from a family of housecleaners who keep the island's summer people happy. Gwen worries this will be her fate too, but just when it looks like she'll never escape what happened- or the island- her past explodes into her present, redefining the boundaries of her life. Sparks fly and secret histories unspool as Gwen spends a gorgeous, restless summer struggling to resolve what she thought was true- about the place she lives, the people she loves, and even herself - with what really is. - excerpt from book cover. 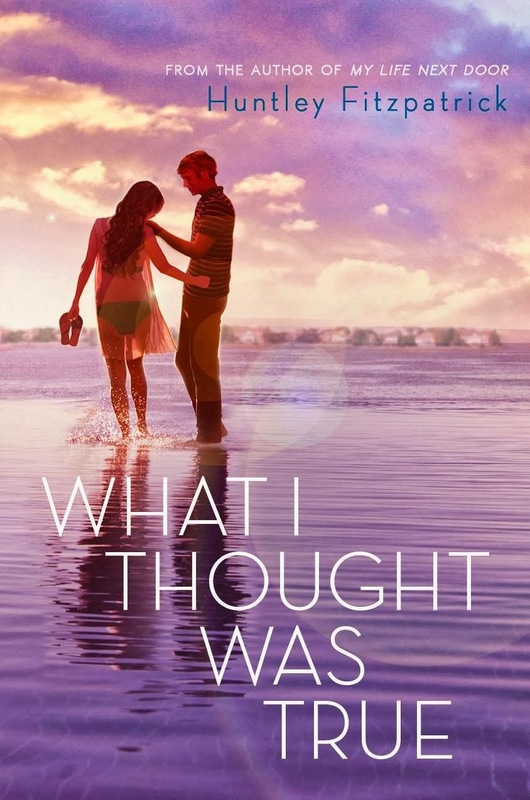 What I Thought Was True by Huntley Fitzpatrick is her second book with the timeline being in the summer just like the book she debut with. Seeing that I like the author's first book so much, I was excited to read this. I thought this book was just okay as the characters were people who are not easy to read. They are people that have many issues in their life that turned them into the people they are now. I think the plot of the story was just bland with nothing exciting happening unlike the boy next door this book had no twist. This book is more about values of a person who all had different backgrounds and not much about the plot as it seems like a typical summer for a teenager. 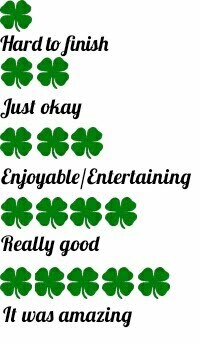 I didn't think that the characters had great personality nor were they very special people. I thought the relationships between the characters were done well. I didn't like that the actions of a certain character had no consequence and I didn't like the example that it will set on youngsters. I was quite disappointed with the book as I expected some cutesy summer romance but it was more towards issues that teenagers faced and also about status quo in society which is not totally bad but not fantastic. There were parts that I like and there were parts that were boring. Overall, it was just an okay book and I don't think it would be the type of book that I would read again and enjoy. I would also not recommend you to pick this book unless you really like this author. It's a book that can be skipped and I hope the author would write a better one next time. 15th July 1988. Emma and Dexter meet on the night of their graduation. Tomorrow they must go their separate ways. So where will they be on this one day next year? And the year after that? An every year that follows? - summary at the back of the book. 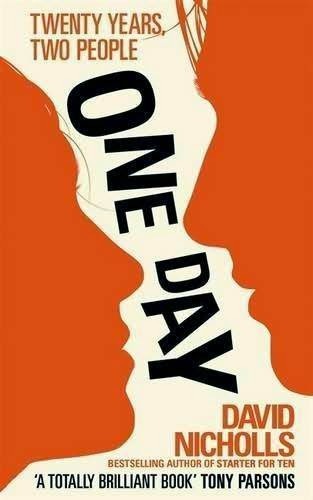 One Day by David Nicholls is a story about two people and twenty years into their lives. I have to say that this book started off okay, then it became boring, then slightly good and then it went back to boring. The boring part of the book was really long, I could not read for 5 minutes every time I pick it up. After being determined that I must finish it, I pushed on and when I got to the good part it was just too short. It's a book on life more than romance and reading about life is the interesting part for me. You learn about two people who went on different paths and how they try to stay in each other lives for years. I enjoyed the life lessons of the book as it made me realize certain things such as why wait? why so many excuses? and lastly timing is the key to everything. If these people did things differently, I guess we would not have the ending we get. 'Live each day as if it's your last', that was the conventional advice, but really, who had the energy for that? What if it rained or you felt a bit glandy? It just wasn't' practical. Better by far simply try and be good and courageous and bold and to make a difference. Not change the world exactly, but the bit around you. Go out there with your passion and your electric typewriter and work hard at...something. Changes lives through art maybe. Cherish your friends, stay true to your principles, live passionately and fully and well. Experience new things. Love and be loved, if you ever get the chance. I don't think I would pick this book up again or even recommend it to anyone as I feel that it's just an okay book as it has quite a number of boring parts. When reading about slice of life titles, I have read better ones and also watched Japan animation that have fantastic plots. Those animation exudes wonderful values and life lessons at the same time which always made me cry. Sadly, this is one book that I might not keep in my bookshelf and would be given away or sold away.